We have a brand new look! Pretty Snazzy has branched out over the years into several jewelry-related areas through different venues including our website, three Etsy shops, and now on Amazon. We are restructuring to encompass all of these limbs on our ever growing Pretty Snazzy family tree. • Sterling silver loose charms/pendants and jewelry specializing in the parts of our lives that make us who we are: our family, music, sports, hobbies, activities, school, faith, and special occasions. • Rhinestone "Mom" pins for we moms to wear in pride at our children's activities. • "Pretty Snazzy Handmade" custom and personalized items. • Unique cutouts and engraved designs including double-numbers, word, and activity charms. • Custom and personalized items such as handwriting charms, monograms, keychains, school mascots, and logos. • Jewelry basics including bracelets and necklaces. • Crafting and DIY with our line of stamping blanks and kits. • Vast inventory of jewelry supplies including Swarovski, Czech, and German rhinestones and cabochons, settings, findings, mixes, beads, and more. Many unique, rare and hard to find items as well as everyday basics for repair and design. Pretty Snazzy Handmade is now on Amazon! We opened our new store in October 2018, come on by and see our Amazon products. Free Shipping! Welcome to the new Pretty Snazzy home page. Pretty Snazzy is refreshing our look and restructuring to encompass all of the areas of our ever growing business. Stay tuned for lots of exciting changes and additions! 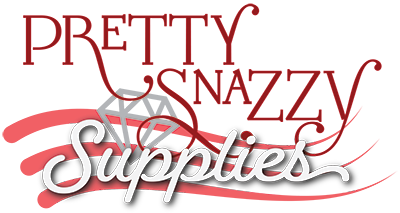 We are currently restructuring our original Pretty Snazzy website into the new Pretty Snazzy Supplies division. In the meantime, you can shop for your favorite vintage & new jewelry supplies on our Etsy store. 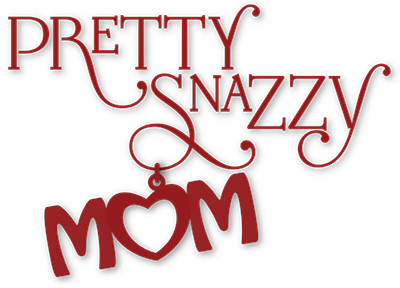 Pretty Snazzy is run by David and Stefanie Brawner in the St. Louis, MO area. It began because of a vintage jewelry lot purchased on a whim in 1999. The first Pretty Snazzy online shop opened in 2001. Since then, Pretty Snazzy has branched out into rhinestones and jewelry supplies (Pretty Snazzy Supplies), sterling silver charms and jewelry (Pretty Snazzy Mom), a custom line of sterling silver items (Pretty Snazzy Handmade) as well as the original vintage jewelry and accessories (Pretty Snazzy Vintage). 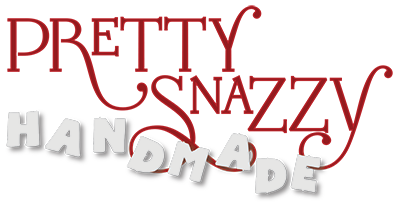 Pretty Snazzy has 3 different Etsy shops, an Amazon shop, and a new website (coming soon). In addition to these, Pretty Snazzy owns the popular reference site jewelrypatents.com. JewelryPatents.com is a public service jewelry patent reference website started in 2004 by James Katz. Pretty Snazzy has designed and supports this jewelry resource.